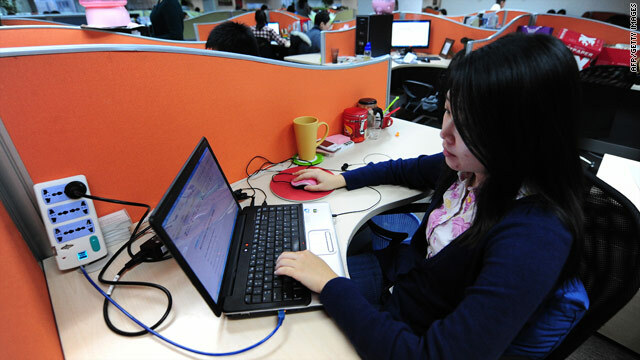 Micro-blogging sites in China such as Sina Weibo claim to have hundreds of millions of registered users. (CNN) - The latest communiqué by China’s Communist Party is only the latest in its clampdown on social media outlets before next year’s annual meeting that will likely install President Hu Jintao’s successor. “Everything is leading up to the buildup of the 18th Party Congress. China is looking to expand its soft power, and there is a lot more pressure on public opinion and the media. How they will control social media and public opinion will only intensify,” said David Bandurski of the China Media Project at Hong Kong University, in a phone interview with CNN on Thursday. The high-level document that was approved last week reportedly ordered micro-blogging sites, like Sina Weibo and other Twitter-like micro-blogging services, to strengthen their management of information dissemination and require users to register their real names. The government also said that those who spread false rumors online will be punished. Despite these steps, experts say controls placed on social media outlets are becoming increasingly difficult for the government to oversee in a nation of nearly 500 million internet users. “Many experienced web users have quickly learned to navigate China’s censors, creating new terms for sensitive topics, and some are resorting to videos and photos, which are more difficult to censor and detect in terms of content,” Bandurski said. Websites like Changwenzi.com or “Long Words” allow users to type in articles in text form that may be sensitive, which are then transformed into a jpeg format photo that they can post onto their micro-blog with less detection by censors. The buzz of the China’s micro-blogging community has only grown in recent years - with some sites like Sina Weibo heralding more than 200 million registered users. But it’s still unclear how many of those users are active. Researchers say the emergence of “zombie fans” has become a recent trend to promote celebrity and brand marketing. Such fans are often created to generate hype for promoting a certain product or account. As trends in China’s micro-blogging community shifts with tighter censors, savvy users will continue to utilize new means to bypass them and get their message across. Experts say the government is also adapting to social media in an effort to sway public opinion. “Last year was the year of Weibo, and this year will be as well,” said Bandurski. “Right now, we’re just waiting to see what will happen next."